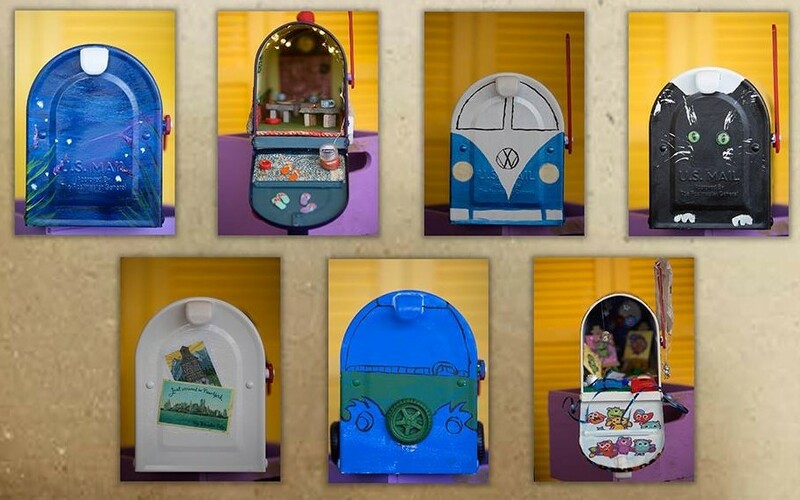 2 years of planning, 11 RVs, 20 Habitat for Humanity Care-A-Vanners who donated 1,064 volunteer hours over the 2 weeks, 378 cups of coffee consumed, 6 square miles, 7 diverse neighborhoods, 14 projects, 9 days, 12-20 yard dumpsters filled with debris, 150 gallons of paint used, 200 feet of new fencing installed, 1-18 foot trailer of scrap metal recycled, 75 used tires recycled, 6 Habitat Clallam staff members, 3 remarkable interns, over 30 City of Sequim staff members, countless community volunteers, over 24 community partners i.e. 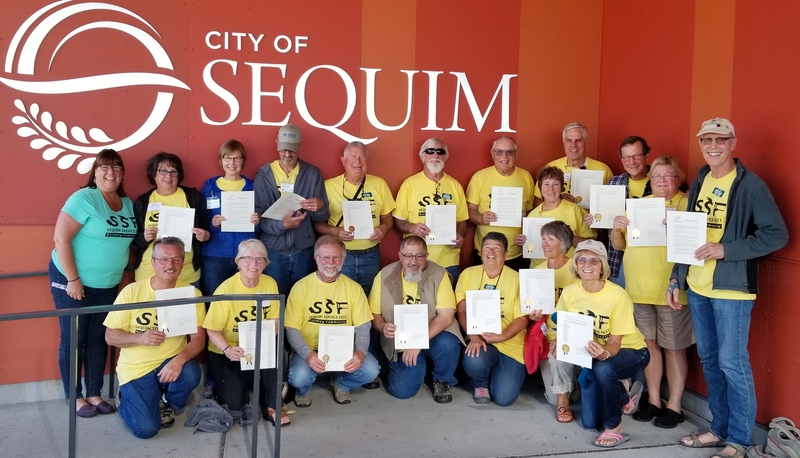 businesses, churches, services donated, 1 City of Sequim Proclamation honoring Habitat RV Care-A-Vanners, 1 internationally sought-after community development presenter, 3 grateful homeowners! Thousands of photos taken daily stretching/yoga classes, great devotions shared, 2 free community concerts, lots of granola bars & snacks, multiple communal meals, ah-mazing friendships made! 1 GREATFUL community- Sequim! Sat. July 14 - 9:00 am at our Maloney Heights Property in Port Angeles (16th & N St.). We are sprucing up the property as we are VERY close to finishing our new Partner Family Home and the dedication/key ceremony will be in the next few weeks! We need VOLUNTEERS to bring your Weed Wacker, brush mower, lawn edger, etc. to clean up all of the open lots and common areas. Many hands make light work! Please click here to sign up. Please join us for an evening of art, food, drink, and friends. Meet the Artists! 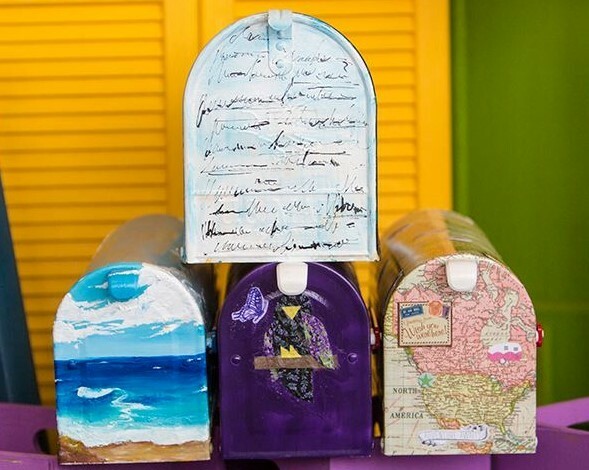 Artistically decorated mailboxes will be auctioned off to help us realize our vision of a world where everybody has a decent place to live. Come try your luck with our Spin to Win Wheel July 3rd only. Shop the store, make your selections then spin our discount wheel at time of purchase for discounts up to 75% off. Cannot be combined with any other offers. (excludes appliances and wholesale items). In observance of the 4th of July Holiday - The Store & Affiliate Office will be closed on Wednesday, July 4th and will reopen on July 5th at regular business hours. HFHCC Store is very pleased and would like to welcome Ricky Rain. Ricky is our new truck driver assistant. Originally from eastern Washington, Ricky moved here about 10 months ago. Ricky has experience driving moving trucks, delivering furniture, as well as working in retail. Ricky is an avid baseball fan, his favorite team is the Mariners. He is a single dad with two boys ages 7 and 10 years old. In his spare time, Ricky does a lot of hiking and enjoys exploring the great outdoors. His favorite food is pizza! We are delighted to welcome him to the Habitat Clallam team. If you see Ricky around the Store, please make sure to introduce yourself, and give him a warm welcome. He is very excited to join his new “teammates” and help serve the community. Our Volunteer of the month is not one, but 20 of the most wonderful people we have had the pleasure of working with totaling an ah-mazing 1064 donated volunteer hours over the 9-days completing 14-projects. They came from all over the country, Washington, Oregon, Texas, Utah, Colorado, New Jersey just to help us during Sequim Service Fest. They were all eager and willing to jump right in and get projects done. City of Sequim made a proclamation... June 11th was declared "Care-A-Vanners Day"! Look for our float in the Port Angeles 4th of July parade!